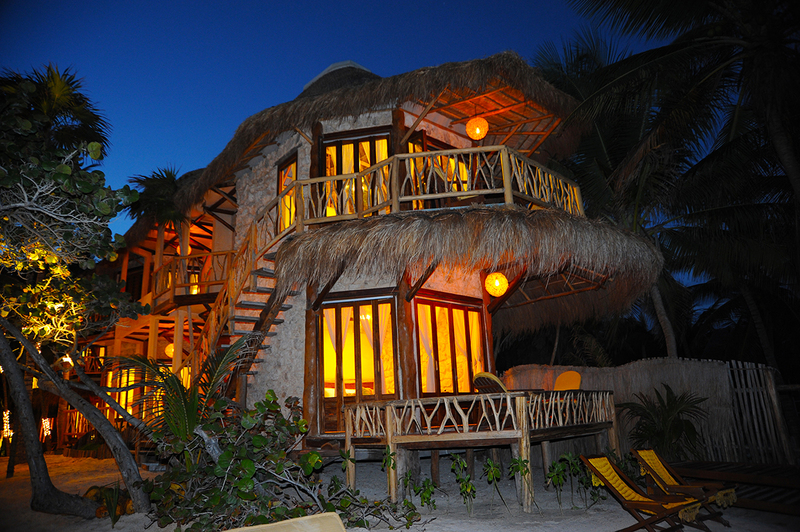 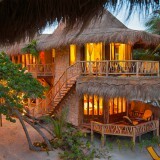 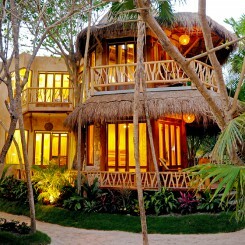 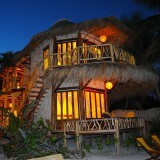 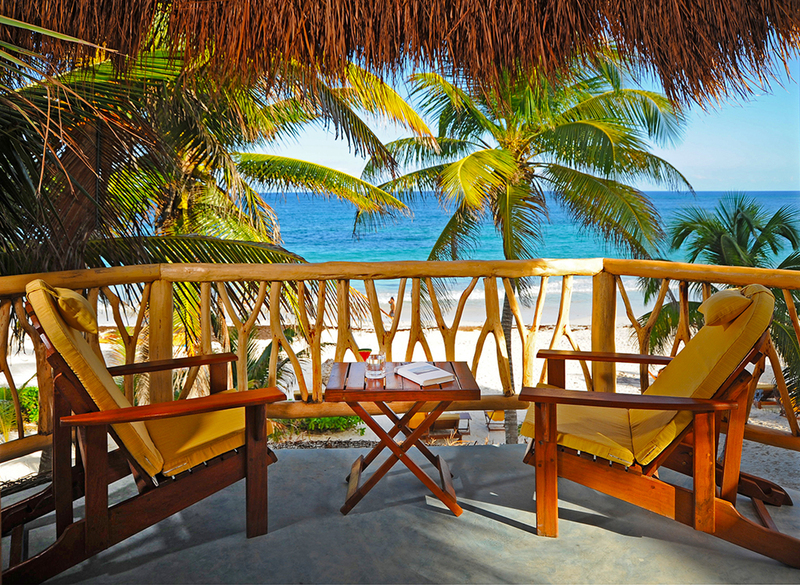 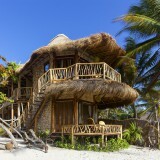 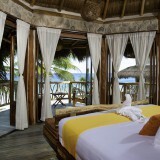 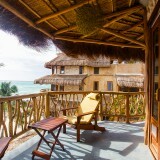 These suites have beautiful ocean views and are located just 40 meters from the warm sea waters. 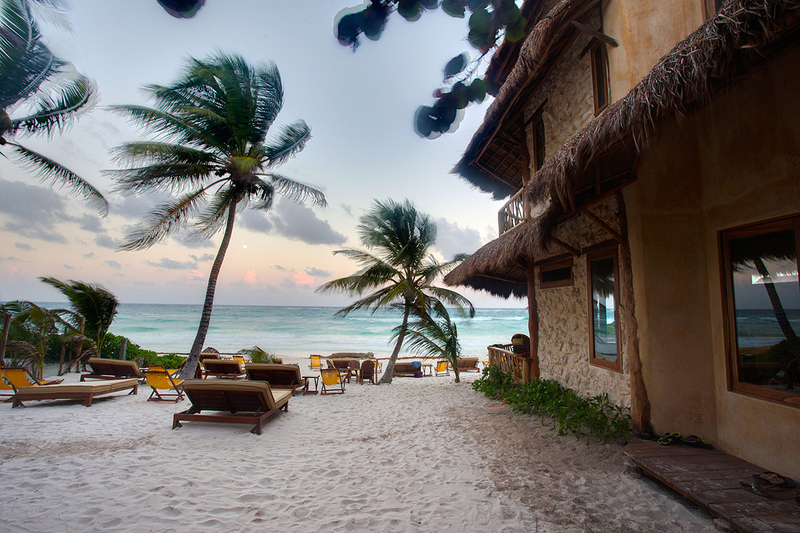 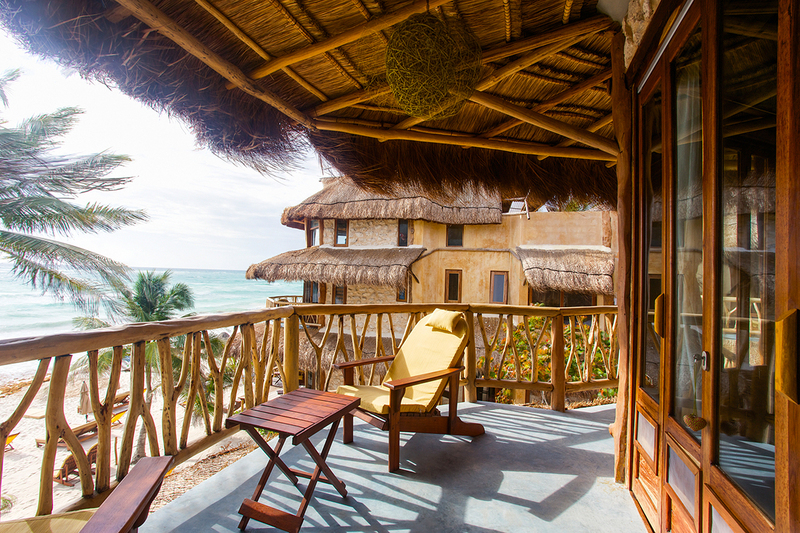 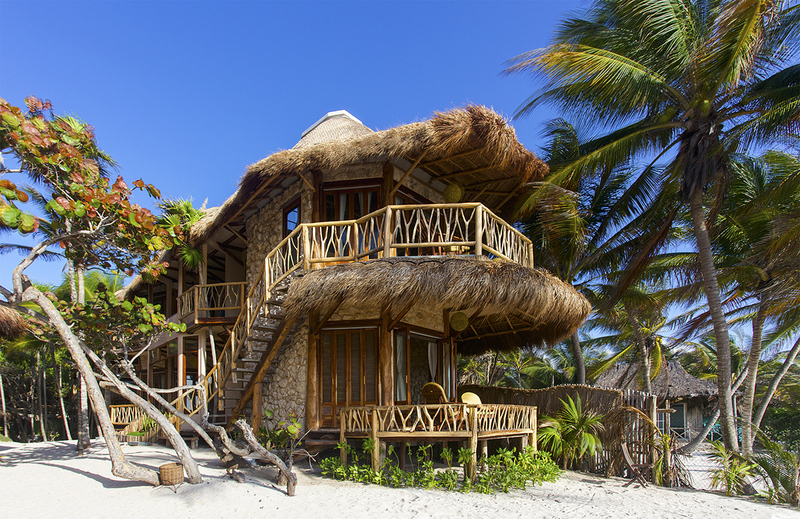 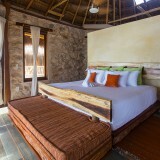 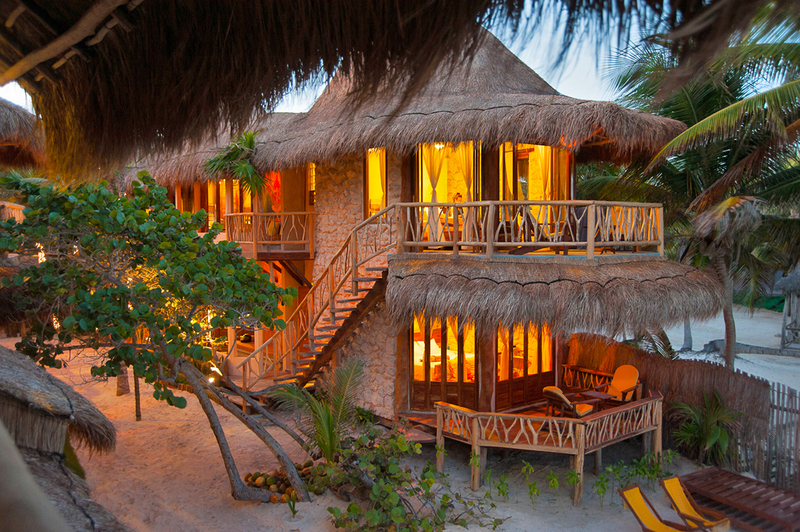 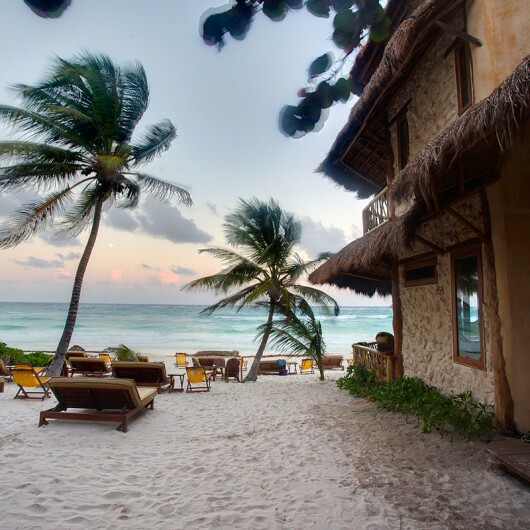 The bedrooms are equipped with finely handcrafted wooden furniture, a sofa, handmade wood flooring and a comfortable centrally-located king size bed that directly faces the ocean, so every morning you experience Tulum’s beautiful sunrise and refreshing breeze. 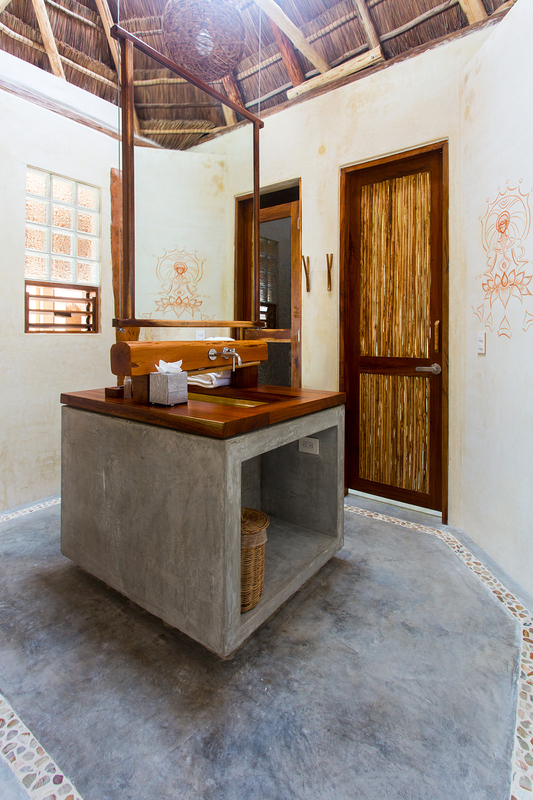 These suites feature a private bathroom with a handcrafted wood sink and a pressure rain shower head. 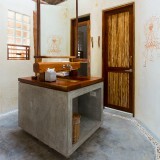 The shower walls are made with marble mosaic tiles, and the floors are made with wood planks for a spa-like experience. 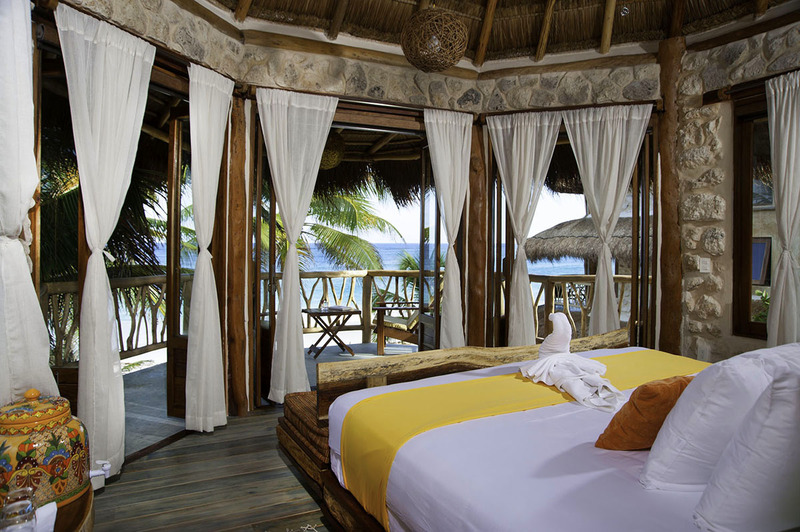 As you look out to the sea from your bedroom, you will be looking through three walls of classic handmade wood and glass bi-folding doors that lead to your very own private ocean terrace. 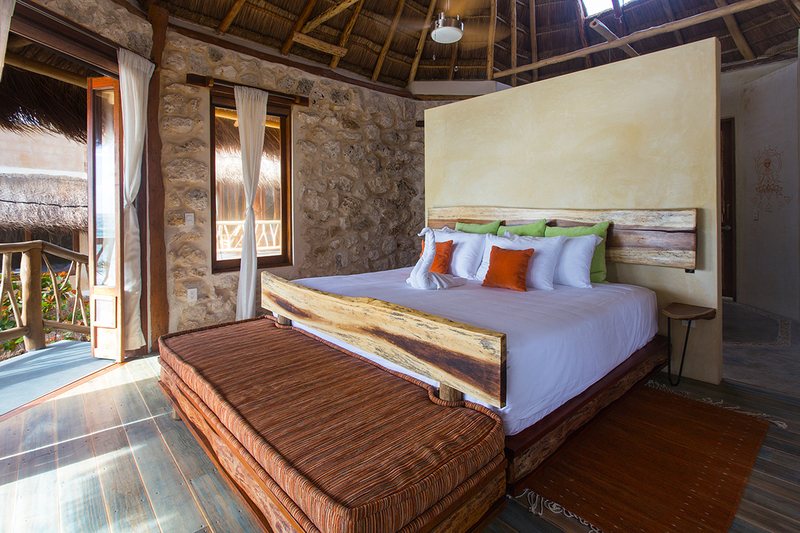 All rooms at Alaya include the highest quality bedding, high-speed WiFi, air conditioning (night use only from 8:00 pm – 8:00 am), and beautiful furniture handcrafted by the Alaya family. 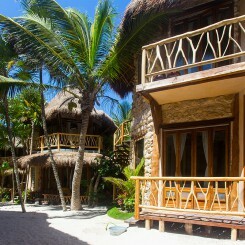 Ocean Front Room: $340 per night – 5% Destination Athletic discount + 19% tax. 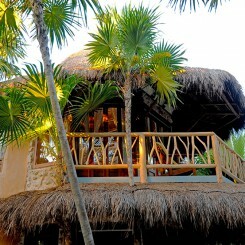 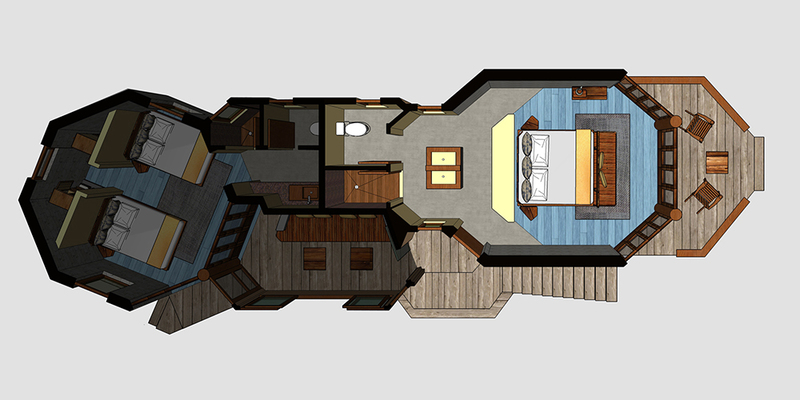 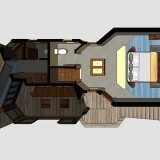 Rates are based on 2-person occupancy; there is a $50 per night surcharge for additional guests. 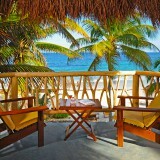 Be the first to review “Alaya Ocean Front Suite, King Bed: November Virtuosity Retreat” Click here to cancel reply.